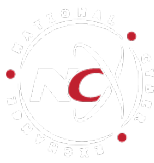 In preparation for the NXC Opening Day on October 18th, we are asking you to take a 10 minutes and think about your list of contacts to identify individuals you think might make a good members. Cyber Executive: These are the company leaders who need to know about cyber security, how to prepare and how to handle incidents. Cyber ISPro: These are the folks who get their hands dirty managing the infrastructure, security and company information. The really technical gurus. Cyber Gov: These are the folks associated with government agencies, either as employees or consultants to government agencies. Please take a few minutes and send us a list of the people you think might be interested in joining. We will take your list and send them an invitation to Opening Day. Please use the attached spreadsheet or just enter the information in your reply. The more you can provide, the better. Responses are due by Friday, September 28, 2018 so we have time to prepare the invitations.